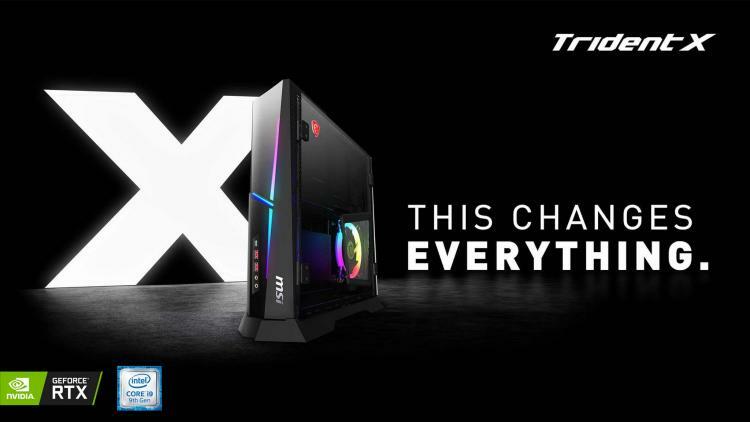 MSI presents its latest Trident X compact gaming desktop featuring NVIDIA GeForce RTX graphics and the new 9th generation Intel Core processors. The MSI Trident X gaming desktop is built for pro gamers that demand the highest performance for gaming. 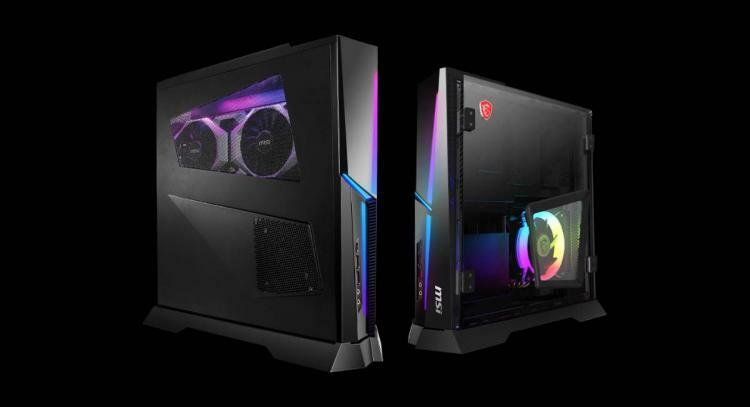 The latest MSI Trident X desktop can be configured with up to a 9th generation Intel Core i9-9900K processor or an Intel Core i7-9700K processor. Graphics card options include the GeForce RTX 2080 Ti, RTX 2080 and RTX 2070 graphics. The new Trident X with NVIDIA GeForce RTX and 9th generation Intel Core CPUs offer 50% more performance compared to the previous generation Trident X gaming desktops. 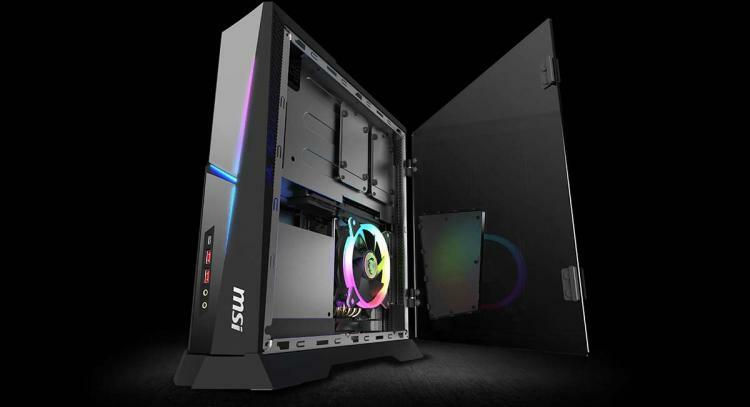 The MSI Trident X series features its signature door-like tempered glass side panel. This allows for easy access to components inside the chassis for installation or troubleshooting. The mesh design on the bottom part of the glass offers ventilation and cooling. The tempered glass side panel also highlights the RGB lighting installed inside the chassis. The MSI Trident X series uses the unique “Silent Storm Cooling” thermal system utilizes three separate airflows to individually cool different components within Trident X to deliver more efficient cooling. The MSI Trident X series preserves the mysterious breathing light design that was first used in Trident 3 Arctic. The lights have been further optimized from the original pure colour design into three different light strings that give layers to their glows. Users can customize the light effect through the MSI Mystic Light RGB control software. Learn more about the new generation MSI Trident X gaming desktops here.